In the two weeks after Singapore’s 2015 General Election was called on Aug. 25, a Yale-NUS College student organization planned a policy forum that gathered representatives from six opposition parties, and attracted a turnout of over 300 university students. 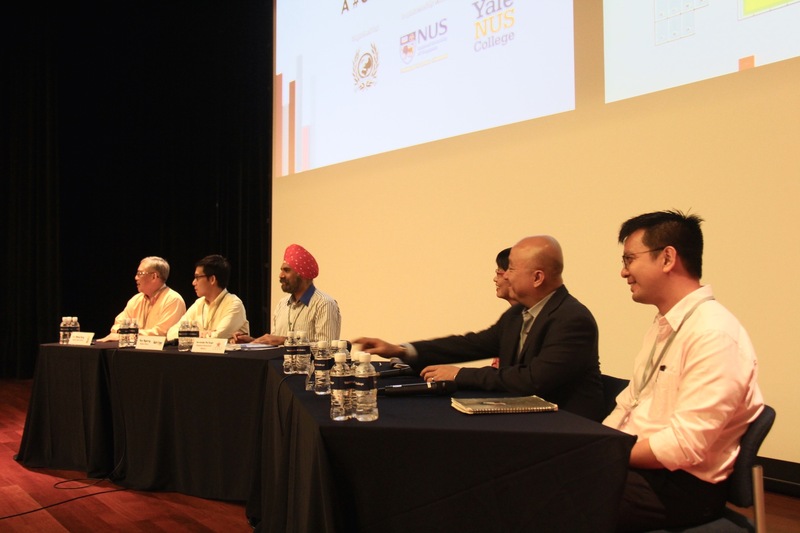 The forum, Policies Not Platitudes, was organized by the Yale-NUS International Relations and Political Association (YIRPA) in association with the NUS Political Science Alumni, and took place on Sep. 3 in University Town’s Stephen Riady Centre. The forum was conceived when YIRPA members heard that the General Election would be held this year, said Walter Yeo ’17, President and event organizer. He said telltale signs included the Prime Minister’s July 13 announcement of the convening of the Electoral Boundaries Review Committee, as well as increased activity from political parties. Actual preparations began two weeks before the forum, after the Polling Day date, Sept. 11, was announced. Within YIRPA, the academics team conceptualized the event; the publicity team raised awareness; and the liaison team contacted the political representatives through both official channels and personal intermediaries. The logistics team booked the venue and arranged the set-up within the 24 hours preceding the event. The main aim of the forum was for representatives to educate students on policies, not to debate or campaign for votes, said Yeo. He added that realistically, most of the representatives would not be able to campaign since the audience of university students was not ward-specific. Hannah Yeo ’18 said she felt that the forum only partially achieved its aim. “I think there were definitely a lot of platitudes in there. Not the fault of the forum but just because the candidates are full of them.” She also thought that there was not enough discussion of policies and that they only heard “snippets” of each party’s plans. Similarly, Soh said that policies and platitudes are often intertwined when it comes to politics. The organizers opened the forum exclusively to university students, keeping it closed to members of public and the press. The closed-door policy was implemented to “respect the wishes of the participants, and perhaps their preference to be able to speak more freely […] rather than to be very guarded because the press is there,” said Executive Vice President Tan Tai Yong, who consulted with YIRPA in planning the event. The three themes of the forum were national identity and integration, education, and social mobility. These were chosen based on questions submitted by attendees before the event.